Hab mir heute aus einer Laune heraus GitLab installiert, hauptsächlich wegen GitLab Pages als Gegenstück zu GitHubs Pages. Plane meine Powerpoint Präsentationen auf reveal.js umzustellen und sie dann praktischerweise mit GitLab zu pflegen und über GitLab Pages zugänglich zu machen. Wird mich noch einiges an Einarbeitung kosten, aber ich finde den Ansatz recht interessant und vielversprechend. 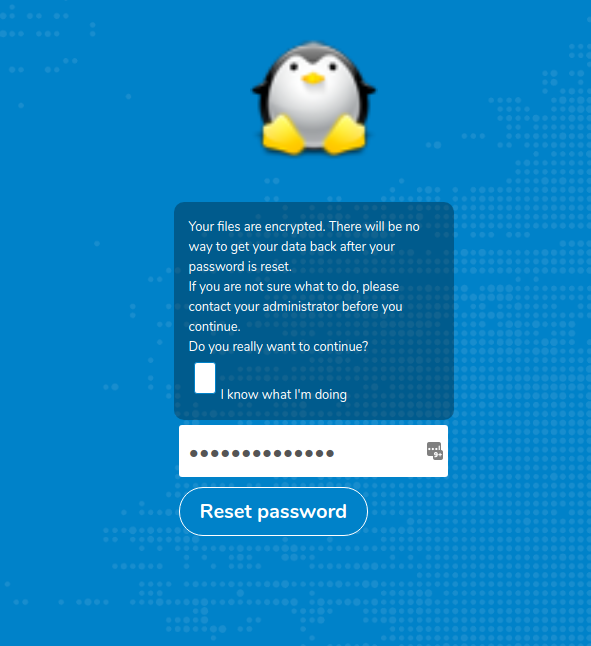 Proof that NextCloud protects its users' encrypted data from admins - it rendered my data unusable after a password "loss"
I had been messing with database users over the weekend and I probably messed something up so yesterday when I tried to login to my NextCloud hosting I was greeted with an error message for my password. Performing a password reset greeted me with the message below saying my data would no longer be accessible after the reset. This is a very good thing because what is the point of encrypted data if an admin can perform a password reset and then login and read your data. I'm always suspicious if a messaging service or hoster can allow a password reset and then you can access your data = means they can do the same for themselves or law enforcement. If a hoster says to you your data is unrecoverable after a password is lost or reset you can think about trusting them. So my online data was encrypted and unreadable after I logged in but its not all doom and gloom because the nature of NextCloud is that I sync that data to my various devices. I just renamed that local folder on my computer, did the reset, deleted the online data, and copied the data back into the local folder on my folder to resync back to NextCloud. Note if you have not enabled encryption on your NextCloud server then your data is unaffected. But good to know if you host your own NextCloud instance at a 3rd party hoster, they're not going to be snooping on your encrypted data. NextCloud is also a great sharing service to host for friends and family. They've been adding more and more functionality like calendar syncing, kanboards, todo lists, contacts sync, and many other productivity tools. should be translated in control of how everything in translated. languages for the F-Droid community. much as possible, instead of sticking everything into fdroiddata . things started when the metadata localization was first rolled out. we can move all that upstream as well. make sure the scripts did not do anything stupid. Mit #KeePass2Android wird das auch klappen. This great #FOSS #libregame has reached the 1.0 milestone! Check it out. Hello everyone #newhere..Im so happy to be in a place of like minded people. #happy to be away from all the #data-ads mess. Hit me if you like any of these.. #GNU #linux #foss #privacy #blogging #writing #music #free-speech #digitalart #b3d #exercise #libreSoftware #fitness #Muscles #introvert #tech...ohh thats a lot... see ya..
never hit search.f-droid.org and therefore will not be logged ). sanitation, and are only kept for a short time period. context. First, ensure that Nginx is set up with the “geoip” extension. country codes are logged instead of IP addresses. Have you read our latest article on how Jami uses #Blockchain ? I think these ActivityPub projects may deserve some more attention - and support. PeerPx - Decentralized social network for photographers. Decentralized social network for photographers. PeerPx has 3 repositories available. 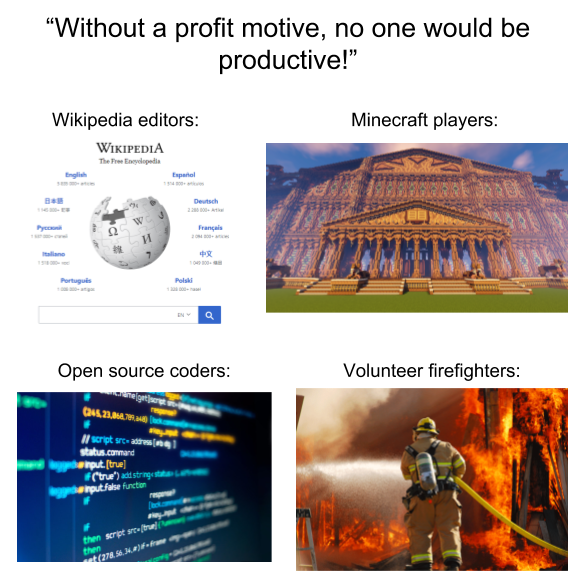 Follow their code on GitHub. #Tox is working really fine, ! Tox began a few years ago, in the wake of Edward Snowden's leaks regarding NSA spying activity. The idea was to create an instant messaging application that ran without requiring the use of central servers. The system would be distributed, peer-to-peer, and end-to-end encrypted, with no way to disable any of the encryption features; at the same time, the application would be easily usable by the layperson with no practical knowledge of cryptography or distributed systems. During the Summer of 2013 a small group of developers from all around the globe formed and began working on a library implementing the Tox protocol. The library provides all of the messaging and encryption facilities, and is completely decoupled from any user-interface; for an end-user to make use of Tox, they need a Tox client. Fast-forward a few years to today, and there exist several independent Tox client projects, and the original Tox core library implementation continues to improve. Tox (both core library and clients) has thousands of users, hundreds of contributors, and the project shows no sign of slowing down. Tox is a FOSS (Free and Open Source) project. All Tox code is open source and all development occurs in the open. Tox is developed by volunteer developers who spend their free time on it, believing in the idea of the project. Tox is not a company or any other legal organization. Currently we don't accept donations as a project, but you are welcome to reach out to developers individually. neue und ** aktualiserte Apps. F-Droid ist ein Repository verifizierter Free & Open Source Android Apps, ein Client , um darauf zuzugreifen, sowie ein ganzes “App Store Set”, das alle notwendigen Werkzeuge zum Einrichten und Betreiben eines App Stores bietet. Es ist ein gemeinschaftlich geführtes freies Softwareprojekt, das von einer Vielzahl von Mitwirkenden weiterentwickelt wird. Das ist ihre Geschichte der letzten Woche. Krankheitsbedingt umfasst diese Ausgabe sowohl TWIF 46 als auch 47.
any extra terms and conditions imposed. repomaker, whitelabel support and nightly builds. use the help of an experienced Django developer. View info about the spartathlon foot race. Productivity timer designed to keep you on track and free of distractions. Xposed module that forces activities to open in a new task. timetables for public transport in helsinki city and region. Seven column cbt thought journal. control and information for your Nissan Leaf. unofficial open-source client for the rhythm game osu! . reader application supporting pdf, djvu, epub, fb2. 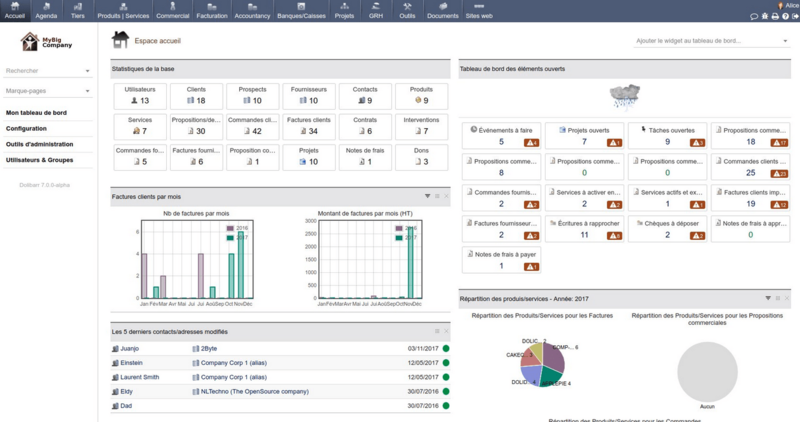 GitNex : Client for gitea. Lightweight youtube frontend for os versions 4.x. A third party application for the pi-hole® dashboard. update search on old Android versions. show the transfer status of a specific receiver. present, ability to enable “expert mode”, and various other improvements. It might also be worth noting that miniVector saw some further cleaning and optimization, shrinking its APK size down to half that of its bigger brother Riot.im ! note view uses a larger font size. CSV export now has some extra columns. is now visibly disabled when the note text is empty. and has the usual bugfixes and translation updates. action, and “hide status bar” for the 4.x versions of Android. improved Quick Action, and a redesigned Directions menu. watch history via the options menu. the amount removed is now shown in a toast. vanished, and hasn’t come back in ~3 months. moved to the archive because these two themes are no longer maintained. für das nächste TWIF ist Donnerstag 12:00 UTC. uns auch im Forum anschließen. Are there any #FOSS / #selfhosted bookmark managers that make it easy to organize bookmarks into categories / hierarchies? In the linked article below we hear how Raghavendra Kamath, an Illustrator and open source enthusiast, went about using these tools to design posters for RMS's visit to Bangalore. 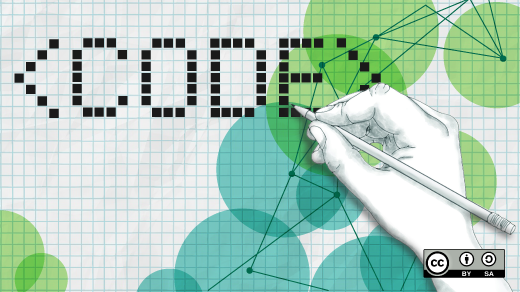 Graphic designers can do professional work with free and open source tools. _aD: Since this wasn't answered to your post: Installing the privileged extension for #fdroid will turn F-Droid into a known source, so you'll no longer have to allow unknown sources. switchingsocial: FYI: #Fairphone Open, which is not preinstalled, but officially supported by Fairphone, comes with the privileged extension preinstalled. About your text: I'd switch the adjectives in the very first sentence. F-Droid is #FOSS or #FLOSS, while some apps are just #OSS. In this edition: Miscellaneous F-Droid work, AnySoftKeyboard and Transdroid Torrent Search updated. There are 7 new and 76 updated apps. @_hc worked on the F-Droid client this week, and has tagged 1.6-alpha2 for release. It has a few big usability improvements, and improvements to code quality, making some confusing parts of the code a lot easier to understand. This should hit the repository soon, if it’s not already up by the time you read this. In other news, the translation work with Weblate is starting to pay off for smoothing out the website translation workflow, and it’s almost ready for anyone to run the sync process. @nicoalt worked on including the latest fdroidserver in Repomaker which is currently the last blocker for a release. When doing this, he found a bug for which he’s currently awaiting feedback (and a merge) by others. Working Time Alert : Never miss the time to go home. 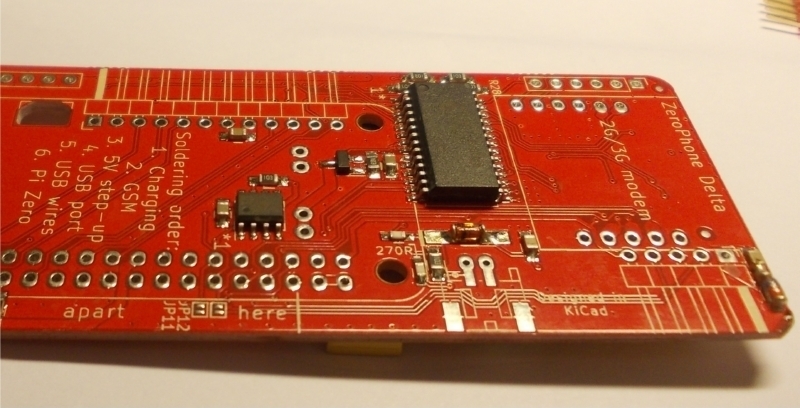 HeaterRC : Remote control heater via sms. Ghost Commander - SFTP plugin : Access files over sftp. VirtualXposed : Use xposed without root, unlock the bootloader or modify system image. Aard 2 : Offline dictionary. Firefox Lite : Fast and lightweight web browser. EteSync was updated to 1.4.0, changing the sync to also do the initial preparation in chunks, which should help with massive syncs. Cythara 3.1 adds viola tuning. Featured AnySoftKeyboard was updated to 1.10.364, adding adaptive colors, which will match the keyboard colors to the current app. Also new is the Night Mode, which will switch the keyboard and app to a dark theme. There are also power saving tweaks, an updated build process yielding a smaller binary, Halmak keyboard layout for English, and your usual translation updates and bug fixes. Simple Calendar Pro was updated from 6.3.2 to 6.4.1, now with email reminders and improved CalDAV event syncing in the background. OpenUntis is an alternative FLOSS Android client for the Untis timetable system. The update to 2.2.0 now mutes the phone on lesson begin, and focuses the login button after scanning the QR code or restoring from prefs. DarkCroc Theme was updated to 1.4, adding a rounded corner option and removing the aggressive system theming option. Fedilab was updated from 1.76.0 to 1.77.1, adding support for polls on Mastodon, a setting to remove the picture when sharing an URL, and a setting to hide the ‘delete’ button in notifications. ClipboardCleaner updated to 1.3.0 bringing a timeout option for the service, and a help icon to explain why this app may not work. DroidShows is a reboot of the DroidSeries Offline TV Shows Tracker with many extra features and an improved interface. After a hiatus of almost 1.5 years, a new update has landed, bringing it up to 7.8.0. This update brings proper support for Android Pie, and you can now change the synopsis language per show, and set the folder for daily backups via the Backup button. You’ll also find various smaller UI/UX improvements and fixes. Telegram updated to 5.4.0, now with autoplaying videos, new settings for automatic media download, and logout alternatives. This update also includes fixes for OpenStreetMap and an option to switch between three tileservers. Major Transdroid Torrent Search updated from 3.12 to 4.0. This update increases the minimum supported Android version to 4.0, and adds support for custom RSS search feeds. VLC jumped many updates from 3.0.13 to 3.1.0, and now requires at least Android 4.2. Notable new features include an onboarding screen for new users, A-B repeat, a manual orientation lock in video player, an option to group videos by folder, and compact audio lists on small screens. Simple sms remote lets you remotely control a phone through sms messages. The update to 1.3.0 adds a new module for audio recording, a new logo, and improved notifications. Do you have important app updates we should write about? Send in your tips via Mastodon ! Send them to @fdroidorg@mastodon.technology and remember to tag with #TWIF . Or use the TWIF submission thread on the forum. The deadline to the next TWIF is Thursday 12:00 UTC. General feedback can also be sent via Mastodon, or, if you’d like to have a live chat, you can find us in #fdroid on Freenode , on Matrix via #fdroid:f-droid.org or on Telegram . All of these spaces are bridged together, so the choice is yours. You can also join us on the forum . In this edition: Twire is the first Twitch app to arrive in F-Droid. There are 4 new and 66 updated apps. SINE Isochronic Entrainer : Brainwave entrainment application with isochronic tones. MPD : A flexible, powerful, server-side application for playing music. DAVx⁵ updated from 2.2.3.1-ose to 2.4-ose. It has a completely rewritten UI architecture with improved robustness and responsiveness. The UI has also been improved to make it more compliant with Material design. Finally, there’s improved behavior for read-only contacts, and the usual smaller improvements and bug fixes. Orgzly updated to 1.7.2, now allowing you to sort search results by event time; copy selected notes; and cut, copy, move and refile multiple notes at once. Simple File Manager Pro updated to 6.2.0, making search recursive, searching in subfolders too. Major Vädret is a simple weather app for Sweden. For this update from 0.1.8 to 1.0.0, the app has been completely rewritten, with a new app icon and new theme, and adding sunrise/sunset times, wind direction & speed, and new bottom navigation. A crash on device rotation was also fixed. Fedilab updated to 1.78.0, with several improvements to polls, and an improved search feature with pagination and tabs—which will be active if your Mastodon server is at least version 2.8. You’ll also find UI improvements when composing, and a redesigned media activity. Easer is an app that can automatically perform a wide range of programmable actions when certain events are detected. It was updated to 0.7.3, with better welcome pages, a new operation PlayMediaOperationPlugin and other improvements. This Week In F-Droid 50, Week 14, 2019 In this edition: Twire is the first Twitch app to arrive in F-Droid.There are 4 new and 66 updated apps. In this edition: App summary translations, looking for maintainer, android SDK in Debian Buster accepted, more languages on the F-Droid website and odds and ends. There are 21 new and 151 updated apps. Due to illness, this edition encompasses both TWIF 46 and 47. The translation workflow for app summaries has seen some more polishing from @_hc , getting pretty smooth. There are now 600 apps whose summaries have been made translatable , and translators have been working on them already. He is now looking for someone to take over the maintenance process for this. Basically it is just pulling in new commits from Weblate, running a few scripts, and some Git(Lab) work. We also have some good news on the Android SDK packages for the up and coming Debian Buster. @_hc has been working on finalizing and championing these, and the packages were unblocked! This means it will be possible to do some (limited, so far) Android building and development using only packages from Debian Buster, under a fully free and open source license, and without any extra terms and conditions imposed. These languages were chosen because they are complete enough, relatively actively translated, and have somewhere from 10 to over 100 million native speakers. @cdesai gave a 5-minute lightning talk on F-Droid in front of about 50 people. Topics included repomaker, whitelabel support and nightly builds. @_hc and @uniq have been working on netcipher, which should eventually get Tor support working properly again in the F-Droid app. @_hc and @nicoalt set up a new translation workflow for Repomaker using the new Weblate improvements. @nicoalt also fixed an error preventing it from running on the latest versions of Python. Finally, he wishes to upgrade to Django 2.1 from 1.x , and could use the help of an experienced Django developer. @vanitasvitae wants to know if there is interest in adding more languages to Planet F-Droid . You can read his short blog post here . Spartathlon : View info about the spartathlon foot race. Goodtime : Productivity timer designed to keep you on track and free of distractions. ActivityForceNewTask : Xposed module that forces activities to open in a new task. Identiconizer! : This is a port of ChameleonOS’ contact identicons feature (available in the JellyBean versions) with some additional features and fixes. When enabled, new contacts will be assigned a unique identicon instead of the default picture. Phonograph : Material designed music player. Simply Pace : Calculate your pace. Music Control : Remote controller for onkyo devices. AudioAnchor : Audio player that tracks the listening process of your audio books and podcasts. Helsinki Timetables : Show timetables for public transport in helsinki city and region. 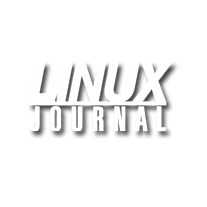 CBTAndroid : Seven column cbt thought journal. My Leaf : Remote control and information for your Nissan Leaf. opsu! is an unofficial open-source client for the rhythm game osu! . FreshRSS : Client for freshrss (https://www.freshrss.org/). MBE Style : A fun icon pack. MoneyBuster is a shared budget manager able to synchronize with IHateMoney and Nextcloud Cospend. KOReader : An ebook reader application supporting pdf, djvu, epub, fb2. NewPipe Legacy : Lightweight youtube frontend for os versions 4.x. FlutterHole : A third party application for the pi-hole® dashboard. Mi Manga Nu updated from 1.95 to 1.99, fixing mangahere and fanfox, fixing pref look, and fixing update search on old Android versions. Network Monitor updated from 1.30.1 to 1.31.0, in which it completely removes dependency on Google services and drops the foss + proprietary flavors, making the whole project FOSS from now on. Notify2Jabber updated from 0.83 to 0.86, now with support for grabbing music titles from selected apps when the song changes. Scarlet Notes FD updated from 6.6.3 to 6.9.5, with a cleaner and easier UI, faster images on the home screen and better image support, a new realtime markdown editor, theme changes, folder sync, and more. TrebleShot updated from 1.2.8.3 to 1.2.10, bringing some UI changes, making ongoing tasks easier to handle, a new Black theme, hold & swipe to select anything, and it can now show the transfer status of a specific receiver. Syncthing-Fork updated from 1.0.1.8 to 1.1.0.3, with faster refresh of the wrapper UI on “modern” devices, “folder is unshared” status label, ability to show Android Open File Limit, new folder dialog “Tap to add device” if no devices are present, ability to enable “expert mode”, and various other improvements. miniVector updated to 0.8.24 (0.8.25 expected soon) and Riot.im updated to 0.8.25, adding support for server discovery via .well-known , SSO login, improved UX when restoring e2e keys, an option to send messages with the enter button, and high quality display and improved max zoom in the media viewer. Some colors were changed. Also includes new default settings for media source and photo compression level, and the shutter sound can be disabled. Orgzly updated from 1.6.12 to 1.7.1, adding event (plain timestamps) support, a preference for click/long-click action, quick folding of note’s metadata, a bottom action bar, swipe left to open or focus the note. State keywords are now forced upper case and note view uses a larger font size. ownCloud updated from 2.9.3 to 2.10.0, adding Android 9 (Pie) support, support for light filtering apps, disambiguate users with the same display name, more options to enforce password when sharing publicly, and various other changes and UI improvements. Simple Gallery Pro updated from 6.5.2 to 6.6.0, with improved new file discovery, exclude some folders by default, avoid deleting filtered out file types at deleting folders, customizing file loading priority, and various UI, stability and performance improvements. Privacy Browser updated from 2.16 to 2.17.1, now with the ability to scroll the app bar, a logcat activity, “open with” entries in link and image context menus, set default apps in “open with”, and Privacy Browser will now allow itself to be moved to SD card. piggybudget updated from 2.2 to 2.4. You can now edit the category icons, and see monthly summaries and totals in the bottom of “Stats”. The “settings” are now not a separate tab anymore, but can be accessed by the header menu. You’ll also find that the CSV export now has some extra columns. StreetComplete updated from 10.1 to 10.2. It will now never show the “prohibited for pedestrians” quest for residential and service roads. You can now also tag foot=use_sidepath and sidewalk=separate in these quests. The OK button is now visibly disabled when the note text is empty. wallabag updated from 2.1.0 to 2.2.0. The minimum Android version required to run this app was bumped up to 5.0. Other than that, this release updates some internal dependencies, and has the usual bugfixes and translation updates. Fedilab updated from 1.75.0 to 1.76.0, adding support for “featured hashtags” (needs to have the next Mastodon version on the server), and a private timeline with conversations for Friendica. For Friendica, favorites were replaced with likes, and in general the import/export feature and custom sharing feature were improved. HgLauncher updated from 1.3.6.1 to 1.4.0, featuring a super shiny new icon, “shorthands”, support for modifying web search providers, extended widget support, more gesture action, and “hide status bar” for the 4.x versions of Android. Markor updated from 1.6.2 to 1.7.1, bringing an improved app color theme for better readability, support for loading custom fonts from file, automatically convert links shared from browser to Markdown, LinkBox is now listed on the main view bottom bar, swipe to change between edit and preview, ability to set which tab opens on starting, and many more. For full details, refer to the blog post . OsmAnd~ updated from 3.2.7 to 3.3.5, removing Facebook and Firebase analytics from the Google version, adding navigation on public transport, additional info in the Route details, improved Quick Action, and a redesigned Directions menu. NewPipe updated from 0.15.1 to 0.16.1, adding basic support for MediaCCC, as well as support for comments. Other improvements include support for youtube-nocookie.com, Amazon Fire TV virtual keyboard, swipe away search history, and clearing watch history via the options menu. LTE Cleaner updated from 3.1.0 to 3.6.2, bringing an optional default whitelist, a dedicated whitelist menu, enhanced cleaning, auto whitelisting, UI improvements, and the amount removed is now shown in a toast. Quoting Stars was moved to the archive, as its github source code seems to have vanished, and hasn’t come back in ~3 months. Akhyou! was moved to the archive, because the app stopped working and isn’t updated anymore. OSMTracker was moved to the archive because its applicationID was changed. In other words, this is the old version of the app, which has been replaced by OSMTracker . Onze and Ameixa LOS were moved to the archive because these two themes are no longer maintained. 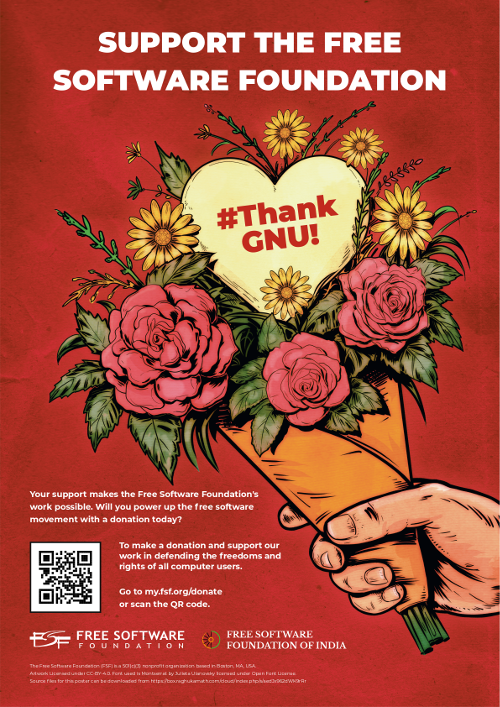 From the time of free software's inception, with Richard Stallman's announcement of the GNU Project in 1984, community has been a central part of its philosophy: we must be free to choose to share any software we use or create. Stallman wrote, "I consider that the golden rule requires that if I like a program I must share it with other people who like it," and from this point concluded that we must always be permitted to share our discoveries and innovations with others, in order to make their computing and their lives easier and better. 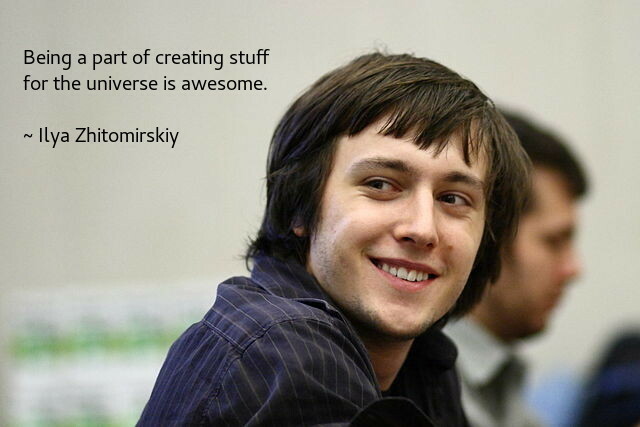 Software that is free always has benefits beyond the individual, and the free software movement depends on a vibrant, ever-changing, committed pool of developers, activists, users, and enthusiasts to keep the dream alive and the movement growing. ERP is an abbreviation for “Enterprise resource planning”. ERP systems are used in small, medium and large businesses to do the work that the company needs from day to day. You can think of it as the software responsible for managing the companies activities. These systems have the word "enterprise" in their names because they do really run enterprises, but for any small organisation starting out an open source ERP should be a first option: to get organised with a low barrier (cost) of entry. Open source ERP systems are many, but which one should you go with for your organization? And what are available options? Here we go over 7 of them. to showcase apps that pay extra attention to communicating to users. they can better explore what they do only by looking at it in F-Droid. will still be listed in Search and Categories Tabs. All About Descriptions, Graphics, and Screenshots . In this edition: The guardianproject.info website migration effort is underway, and odds-and-ends. There are 6 new and 82 updated apps. Coffee and @_hc have been working to migrate the guardianproject.info website to Hugo. The site has been set up, and much of the content has been migrated, but work remains to get all the details right and port over the navigation. @vanitasvitae points to a story about KDE Connect being briefly removed from the Google Play Store, ostensibly for violating Google’s new policy on apps that utilize SMS permissions, despite an exemption that clearly applied to KDE Connect. It was restored two days later. @Poussinou highlighted some troubles for the MusicPiped app, which allows users to stream audio from Youtube. It was published to Google Play , however its primary function violates Google’s Terms of Service. Google have responded by denying update submissions from the developer, though updates continue to be available via F-Droid. @vanitasvitae has let us know about part 2 of a series on lineageos (German): LineageOS – Take back control . @_hc is looking for developers interested in helping to support white labeling in F-Droid. @_hc and @uniq continue to work on NetCipher in order to improve Tor support, and force the use TLSv1.2 or greater. OpenPods : Check the battery status of your airpods. Vector Camera : An app that applies real-time effects to the camera input. DOI to SciHub : Quickly download research. p!n : Pin notes to the notification area. FiSSH : SSH authentication via fingerprint scanning over network (TLS sockets). Delta Chat was updated from 0.101.1 to 0.200.0, improving setup for many providers (including OAuth 2.0 support for Google and Yandex), and enabling sharing into the app. EteSync was updated from 1.2.6 to 1.3.0, improving performance for large initial syncs. Suntimes was updated from 0.10.3 to 0.11.0, adding an alarm and a clock widget. Bop-MusicPlayer was updated from 1.1.2 to 1.2, making microphone use optional, and enabling control via Google Assistant. WebApps was updated from v2.18 to v2.20, allowing for custom user agents, and favicon-action bar color matching. Periodical was updated from 1.23 to 1.30, separating events and symptoms into different lists, and indicating each per-day. Bitcoin Wallet was updated from 6.41 to 7.02, providing support for receiving to and sending from SegWit (Bech32) addresses. FairEmail was updated from 1.381 to 1.395, adding local contacts view with search, full HTML signatures, export/import of contacts notification settings, and optionally shows accounts on startup screen. KISS launcher was updated from 3.7.6 to 3.7.9, improving startup performance and memory consumption. SkyTube was updated from 2.94 to 2.95, fixing video playback. Slide was updated from 6.0.1-3 to 6.1, adding mod toolbox support, a text editor overhaul, and improvements to wiki link handling. FreedomBox was updated from 0.4 to 0.5, adding SDK v28 support. GitNex was updated from 1.0-rc6 to 1.0.1, bringing some small fixes to an otherwise feature-packed 1.0 release (congratulations GitNex!). Manyverse was updated from 0.1903.13-beta to 0.1903.19-beta, with several new features including post preview. UserLAnd was updated from 2.3.8 to 2.4.0, adding file-system import and export. FiSSH has been unarchived at version 3.0. The following updates won’t be automatically suggested to you unless you have “Unstable updates” enabled in the F-Droid app settings, but you can expand the “Versions” tab and install them manually. Note that these are marked beta for a reason: Proceed at your own risk. Telegram was updated from 5.3.1 to 5.4.0, introducing auto-playing videos. General feedback can also be sent via Mastodon, or, if you’d like to live chat, you can find us in #fdroid on Freenode , on Matrix via #fdroid:f-droid.org or on Telegram . All of these spaces are bridged together, so the choice is yours. You can also join us on the forum . odds and ends. There are ** new and ** updated apps. in new commits from Weblate, running a few scripts, and some Git(Lab) work. together, so the choice is yours. You can also join us on the forum . Minimalist, federated, self-hosted blogging platform. for the ones who have an Apple Computer, I don't have it but I use one at my job, the brand new Gimp 2.10.10 is available for #macOS as well! Die Anmeldung läuft nur noch bis Mittwoch, 10.April, 23:59h! 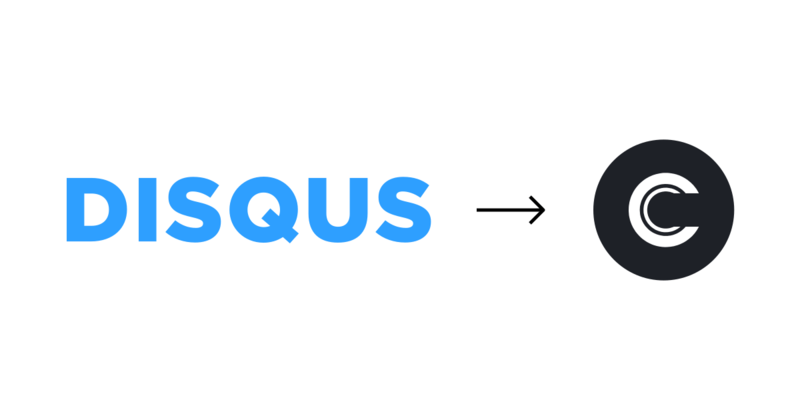 When I started this blog, I used Disqus for comments on posts. This was a natural choice: I’d seen sites use Disqus all over the internet, it was easy to setup, and they had a free tier. I happily integrated Disqus and moved on. hUmAnS aRe InHeReNtLy SeLfIsH!1 ! 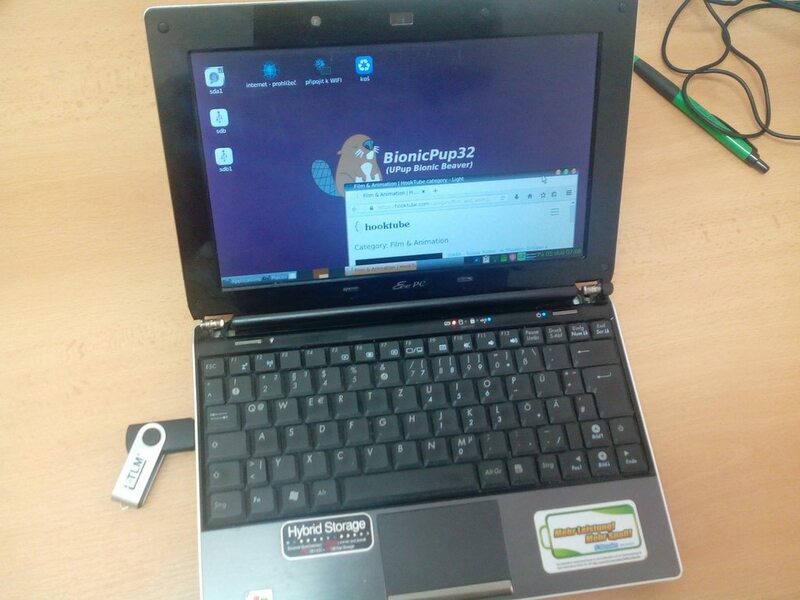 Today I have repaired an old laptop using #GNU / #Linux for a poor guy who couldn't afford a new computer. He bought the laptop many years ago and its hard drive is now broken so much that trying to boot up the installed #Windows 10 was a very slim chance. I am not kidding, it literally took him about 3 hours of repeated attempts to boot up the computer so he could watch videos -- he was extremely patient and kept doing this between his shifts -- I have personally witnessed it at my night shift, he wasn't able to turn it on before midnight... then he had to go to work. I have brough a few flash drives with GNU Linux today to give it a try and guess what... it worked. The third distro I tried -- #Puppy GNU/Linux -- made the laptop usable again. It runs solely from the USB stick and doesn't need the harddrive. It can connect to WIFI and play videos, which is basically all that the guy needs.